8 Neon-red bulls give you a bold, crisp sight-picture against a bright white background for more shooting and less down range time. The white bullseyes make it easier for marksmen to see the center of the target. Don't spend valuable range time running targets back and forth on the range. Use Thompson Target Sight Seer Red to get the most from your shooting time. These work great for me. The red allows for quick shot placement review and sight in an indoor environment. between the red and the light blue in the same pattern these are very easy to see my hits on the indoor range. I have been using the blue lately and now am starting to use the red, for me both work, I see my hits a tiny bit better with the blue but the red work just fine too. I have come to realize that the indoor range lighting is more the issue than the color of the target. This target is great for sighting in a rifle. It allows you to see what you are shooting and be able to adjust the sights because of the grid background and the red & white contrast. I find these targets very easy to lock in on , good contrast. 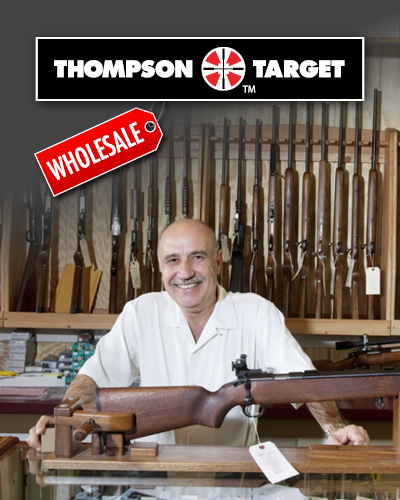 I've used Thompson targets for many years. This particular style affords multiple bullseyes and is of excellent quality. I shoot these with 22 cal through 44 magnum at 5 and 10 yards, at both slow fire and timed/rapid fire. I like having 8 targets on one sheet -- daves time at the range. I track my scores and find these targets excellent for KNOWING I am getting better. Visibility at indoor ranges is very good.